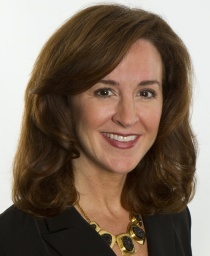 MCLEAN, VA: Hilton Worldwide has appointed Kathryn Beiser, VP of corporate communications at Discover Financial Services, as EVP of corporate communications. MCLEAN, VA: Hilton Worldwide has appointed Kathryn Beiser, VP of corporate communications for Discover Financial Services, as EVP of corporate communications. Beiser, who began her new role on December 3, succeeded Ellen Gonda, SVP of global corporate communications at Hilton. She reports to Christopher Nassetta, president and CEO of Hilton Worldwide, and becomes a member of the company's executive committee. Some of Beiser's responsibilities include managing external and internal communications and corporate responsibility globally at Hilton. She will also focus on making sure brand communication is integrated with corporate communication, she said. “Hilton is a family of multiple brands ranging from the Waldorf Astoria and Conrad and Hilton to Hampton and Homewood Suites, so it's about looking at our brands across the world, our corporate brand, and executive communications, and ensuring we are delivering the right messages through the right channel,” she added. Beiser said one of her goals is to build an integrated world-class corporate affairs function that attracts and retains the best professionals in the industry. “One of the reasons I took the position is that it's an opportunity to coach a really talented team of communications professionals who are clearly passionate about what they do and committed to excellence,” she explained. Prior to joining Discover in 2006, Beiser worked at Burson-Marsteller for nine years where she served as MD of the agency's corporate practice in Chicago. She also worked at GolinHarris, Caduceus Communications, and Hill & Knowlton. Hilton Worldwide's brand portfolio includes Waldorf Astoria Hotels & Resorts, Conrad Hotels & Resorts, Hilton Hotels & Resorts, DoubleTree by Hilton, Embassy Suites Hotels, Hilton Garden Inn, Hampton Hotels, Homewood Suites by Hilton, Home2 Suites by Hilton, and Hilton Grand Vacations. Together, the brands comprise more than 3,900 hotels around the globe in 90 countries.